Right now in nearly every U.S. home — including the White House — families are gathered to watch the Super Bowl. And Barack, Michelle, Sasha, and Malia Obama are not the only members of the first family who will be watching the Carolina panthers ace off against the Denver Broncos on Sunday night. 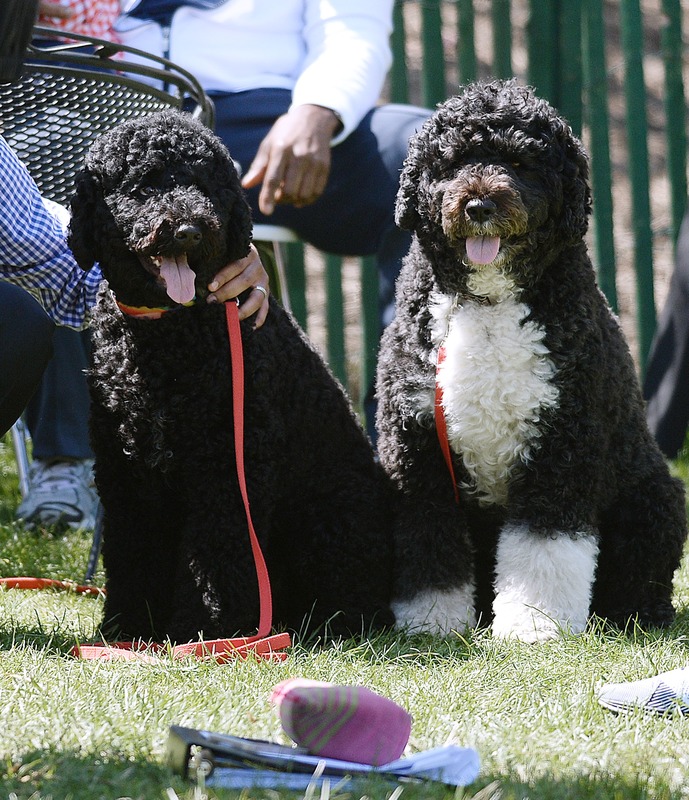 White House pets, Bo and Sunny, are already geared up for Super Bowl 50 in personalized jerseys. Their customized uniforms are fitting considering how seriously the president and first lady take the Super Bowl. The couple puts a surprising amount of energy into throwing a party that pleases football of all sports knowledge, according to their first joint live interview on CBS on Sunday. "We have sort of three ways that we do the Super Bowl. We have the serious watchers. And that's the treaty room. If you're in that room, you're watching the game," Michelle Obama told Gayle King on CBS' This Morning. "Then there's the outside room where the kids are, where they're kind of fooling around. They're by the food. "For the, shall we say, more casual fans, the Obamas have a champagne room. "That's where my mother sits. Where you really don't know what's going on but you're close to the champagne," she explained. Of course, the big question: Do Bo and Sunny get to have a few sips?